Next up in our series of interviews with LitRPG authors we have Dave Willmarth. 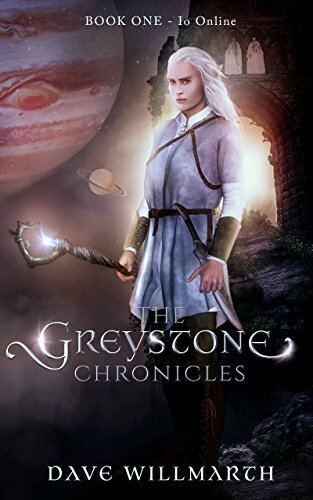 If you’re into LitRPG or GameLit, you’ve likely heard about The Greystone Chronicles. If not, you need to check it out. Willmarth has been a life-long fan of Fantasy and Science Fiction books He’s also been a avid gamer since the 1970’s, the days of early video games like Pong, Tank, and classic Dungeons and Dragons adventures. 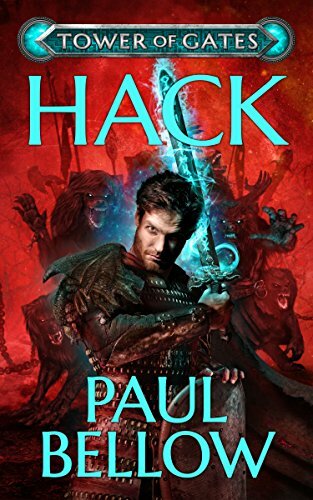 Discovering the GameLit (LitRPG) genre opened up a whole new world that allowed for the combination of game elements and a fantasy setting in book form. I started several fiction (fantasy) books over the last thirty years. I’d get a chapter or two into one, then set it aside. 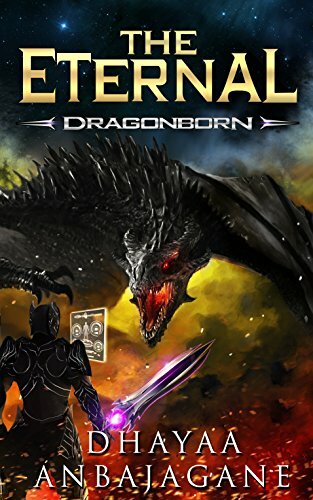 In late 2016 I discovered LitRPG by accident. Aleron’s “The Land” appeared as an ‘also bought’. I tried it and was hooked. I burned through 300 LitRPG books over the next ten months. From those I discovered the various genre fb groups and began to interact with authors, and got inspired. Started writing the first Greystone book in September 2017. 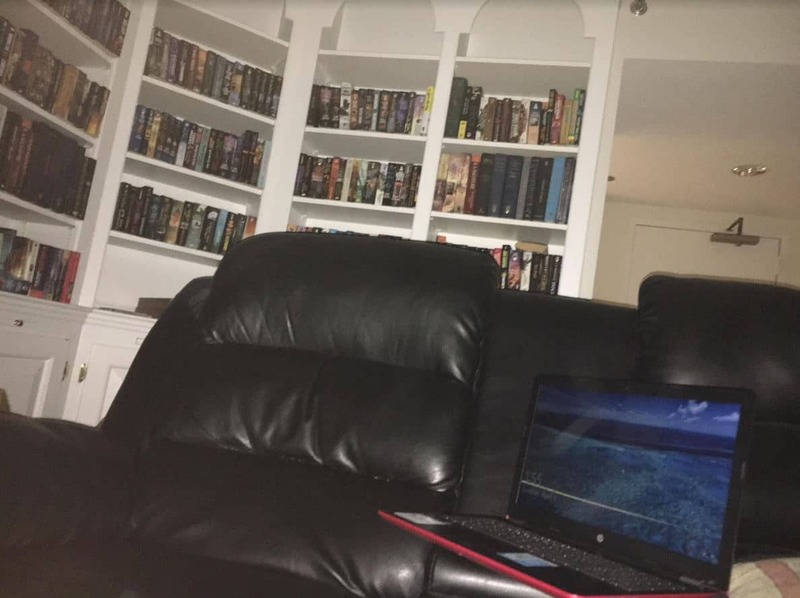 I own nearly 500 paperbacks and a few dozen hardcovers. I was late to the e-reader trend, finally buying a Kindle in 2016. Don’t think I’ve purchased a physical book since. Which is good, because I’m running short of shelf space! Hmmm… within the genre, I think maybe Adam Drake’s Shadow Gambit. About a woman isolated on a remote station who plays a VR game. 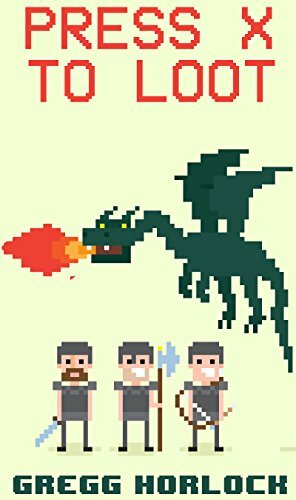 Outside LitRPG/GameLit There’s a series called “Orcs” by Stan Nichols. I bought all three paperbacks at once on a whim and burned straight through in one sitting. I think my newest one. The first in the Dark Elf Chronicles. I’ve been improving my skills as I go. It’s the fourth book I’ve written, and the cleanest. 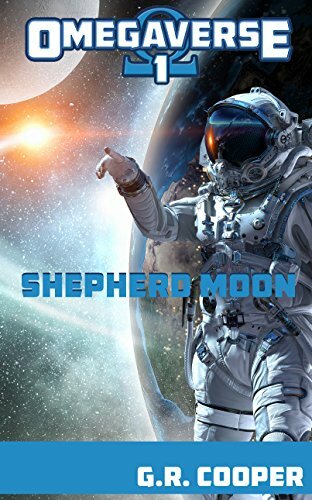 So far it’s been well received, including an 8/10 from Ramon on his LitRPG Podcast. Which feels like a huge achievement to me! I combine a zombiepocalypse real world with a fantasy VR world, and tied them together as closely as I could. Pretty happy with the result. I would love to see Michael Chatfield’s Emerilia on the big screen. The immense scope, epic battles, variety of races… and if they make it a series it can include the space battles too. And I grew to care about the characters as well. They were very well written. I didn’t. Until it hit me recently. I always thought writing was easy. You sit, think stuff up, type it out, have a tasty adult beverage. Rinse and repeat. And that is occasionally how it goes, but mostly it is hard work. Especially in our genre where you have to not only invent the world, but establish workable mechanics, keep track of the math, etc. I recently hit a wall while writing Greystone 4 and had to just walk away for several days. I do a rough outline for each book. Because I was always told that you should. So far, nothing but the most general overall storyline has lasted more than a few chapters. My characters ignore my plans and run about every which way. I am pretty ADD, and have to focus hard to get through daily life. And it shows in the way my books evolve. The initial drafts are chaotic. I spend a lot of time rewriting to avoid plot holes, or just redirecting my lil minions down a better path. I have a demanding ‘day job’. So my writing happens generally late at night (I’m writing this at 2am) or on weekends. I live alone, so the only interruptions are ones I create. Generally I’ll kick back in my writing chair with my laptop, a large thermos cup close at hand, and all the lights off. No music or anything. Just the sounds of the city outside. I try to write worlds that I’d want to live or play in. As a 30+ year gamer, I’ve experienced a pretty wide range. And like everyone, I have my favorites. Readers will see hints of them scattered about. The world building and establishing a ‘system’ are my favorite parts. I also have a good time sliding in little easter eggs for my guildies and friends. And naming characters for them. I generally start each session by reading thru my last page or so, just to remind me of where I was. Then I close my eyes and picture what I’d like to happen next if I were playing the game. Or picturing the mechanics of a battle – the attack angles, weapons or skills used, damage done. Attacks and counters. Then I type away. Unfortunately, sometimes those visualization moments turn into naps. I send every 20-25 pages to my family, who are my alpha readers. They give me great feedback, and even a few suggestions (my mom is responsible for the giant poison-farting ladybugs). When it’s all done, it goes off to the editors for the search-and-destroy mission to eliminated the many, many mistakes, typos, missing words and nonsense phrases. Generally I’m writing between 10:00pm and 2:00am. Weekends I might go 10 hours or more each day. I average 5-6k words a day. Us old farts don’t need as much sleep. All the time I used to spend reading and gaming now goes to writing. I write all around the house. But mainly here in my living room. I kick back in the recliner, laptop on my… well, lap. That’s one well-named tool. I like to think that the reflection in the screen of all the books behind me motivates me. Sometimes late at night I take the laptop out on the balcony and enjoy the quiet as I look out over the city. I try not to get TOO comfortable. Because then naps happen. JRR Tolkien. My parents gave me The Hobbit when I was nine, and fantasy worlds full of elves, dwarves, and dragons became part of my soul. Isaac Asimov. Piers Anthony. R.A. Salvatore. Sara Douglas. Dean Koontz. Terry Goodkind. There are way too many greats to name them all. They come from all over. The Greystone series came from a mind problem. As I mentioned, I have to work hard to focus. To distract my brain, I pick a complex problem and unleash the brain on it while I do what I need to through the day. It’s a little difficult to explain. Anyway, after reading many LitRPG books with immersion systems (VR rigs) that didn’t satisfy me, I put the brain to work. I built myself (mentally) the pods you’ll find detailed in book 1. Then i created a platform and reason for them to be created. Then the world that I’d want to exist within them. I watch a lof Science Channel. Especially the shows about likely ways the world, even the universe, will be destroyed. I love physics. Specifically astrophysics and quantum theory (RIP Dr. Hawking). The ‘Strangelets’ particles I used to trigger the zombiepocalypse in my new book are modified versions of actual theoretical particles thought to be created in super-massively powerful events like the collision of neutron stars. I’m always soaking up odd bits of knowledge. But my web browser history might make an interesting story all by itself. I research metals for weapons, different types of stone for construction. Poisons, spices for food, languages for names. I love norse and greek mythology, and like to seek out obscure gods to use. I spent days reading about neuromuscular diseases to create a realistic ailment for Alexander, my Greystone MC. Most of the research, though, is done on the fly as I write. Luvs me some interwebs. I’m about halfway through Greystone 4. Then comes Dark Elf 2. I’ll alternate between the two series for the rest of this year, or until I reach the end of one of them. I’ve released 4 books in the last 5 months. But can’t continue that pace. So a book every 60 days-ish going forward. I feel so lucky to have found this genre that allows me to combine my love of gaming with a lifelong passion for fantasy and sci-fi. And I’m grateful to so many of the authors who first inspired me, then let an annoying noob ask what must have been mind-numbing questions. I have made so many new friends. Not just among the authors, but readers as well. So a big thank you to the community, for helping me to achieve a lifelong dream! And for sharing the journey with me.